Hello, today I am showing you some of the best foods around the world. From France, Germany etc. Hi blog, today I am uploading some funny picuters 1. Bethesda pledges to fix PS3 Skyrim lag A bug in the PS3 version of The Elder Scrolls V: Skyrim is giving fanatical players grief, but publisher Bethesda is working on a remedy Gamers playing The Elder Scrolls V: Skyrim on the PlayStation 3 console have been lighting up forums with reports of a bug that causes gameplay-destroying lag and plummeting frame-rates. To make matters worse, the bug only kicks in when players have invested 20 or more hours of their time in the game. The bug arises from what sounds like the most trivial of causes: a design fault which means that save files grow in size enormously as players progress through the game. Skyrim's open-world nature means that a vast amount of data is accumulated regarding what abilities and objects players have acquired, as well as their movements through the game. The problem came to light when several players posted about it on publisher Bethesda Softworks' official Skyrim forums. Footage of the glitch has even begun to appear on YouTube. One of the first people to highlight the issue in the UK was Tim Clark, ex-editor of Official PlayStation Magazine and now editor-in-chief at Future Publishing. "For the first 20 hours or so the game ran buttery smooth, and I was ready to lay my Game of the Year garland on its head," Clark says. "Then the lag started. "At first the frame-rate would only get choppy – and we're talking very choppy at times–– after a few hours' play. It also seemed more pronounced in busy town areas, like Whiterun. "The real worry, though, is that it now seems to be getting worse at a fairly consistent rate. I'm no programmer, but anecdotally the issue seems to be tied to the size of the game save, which creeps up as you play and save." Those who have posted about the problem report that the lag kicks in when the size of the game-save rises above 5Mb. Already, people have been trying out workarounds. "In classic The IT Crowd style, switching it off and on again seemed to work initially," says Clark. "But after a while the choppiness would return. "From speaking to colleagues and reading through the threads, it appears that the on/off trick becomes less effective as the save file keeps growing. Switching off all the autosave mechanisms also helps, and oddly 'waiting' (ie, advancing the clock) in the same area will sometimes reduce the file size a little. "However, note that deleting multiple saves has no impact. Even if you run a single save, it will keep expanding in size and it's that which people are blaming for the problem, having had similar troubles with Fallout 3 previously." Pete Hines, vice-president of marketing at Bethesda, is adamant that the problem must involve factors other than save-file size. "Most users aren't experiencing these kind of issues on the PS3," he says. "We are investigating the issue further as to why some folks are seeing this." Hines tweeted that Bethesda was working on a patch to fix the lag issue. One possible reason for the problem, which has been the subject of much debate on the forums, could be the type of PS3 on which people are playing the game. 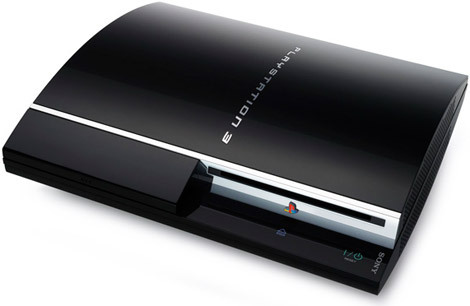 Sony sold different versions of the original PS3, with various hard disk sizes, and the revised Slim version now on sale also comes with a variety of hard disks. If you encounter the problem while playing Skyrim, your best bet is to head for the official Bethesda forum for the PS3 version of the game. It's safe to say that Bethesda will swiftly get to grips with the problem and fix it with a downloadable patch, but it rather takes the gloss off a phenomenally successful launch period for the game – Bethesda has already shipped a staggering 7m copies worldwide. "It simply has to be patched," says Clark. "The numbers Skyrim has already sold are incredible, and it's clearly a wonderful game when it works. Again: I would've said game of the year by a mile before the lag kicked in." So the PSN is having downtime, the problem is that the PS3 got HACKED!! Yes i know most of our personal information got stolen and they are selling it over the internet. Good that the credit card information was encrypted with the 128 bit encryption, and that's what most of the big banks use. So Sony told us that the PSN is going up the third of May so go get your games and controller ready and start gaming! The action is in Vietnam turning the cold war.You are signed as a blackops unit in the enemy frontlines. You will have access to prototype weapons. Once again the series will bring out vehicles.